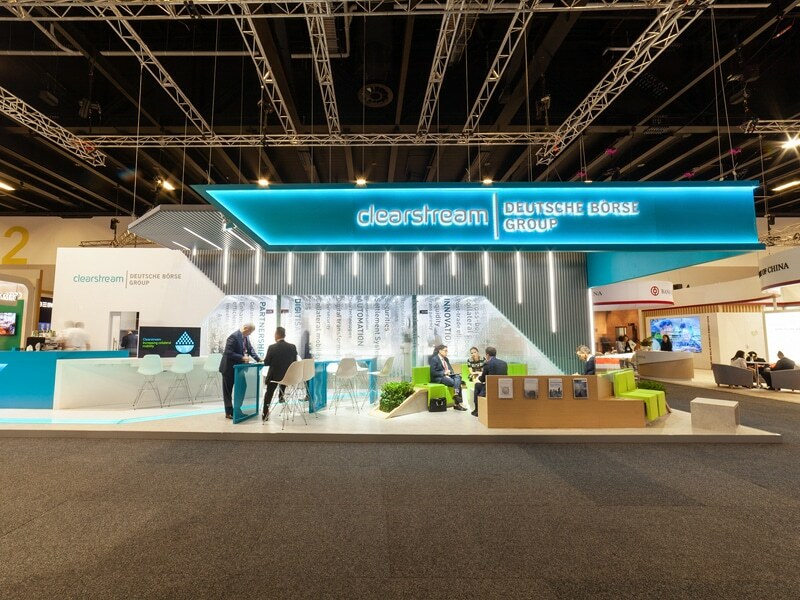 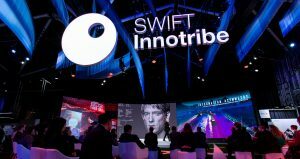 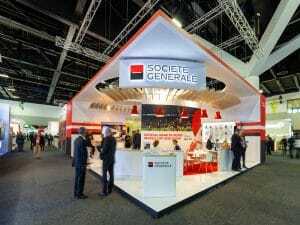 A process of continuous improvement over the last 3 years of partnership with Clearstream has resulted in an evolution in architectural design and effortless functionality for their presence at Sibos. 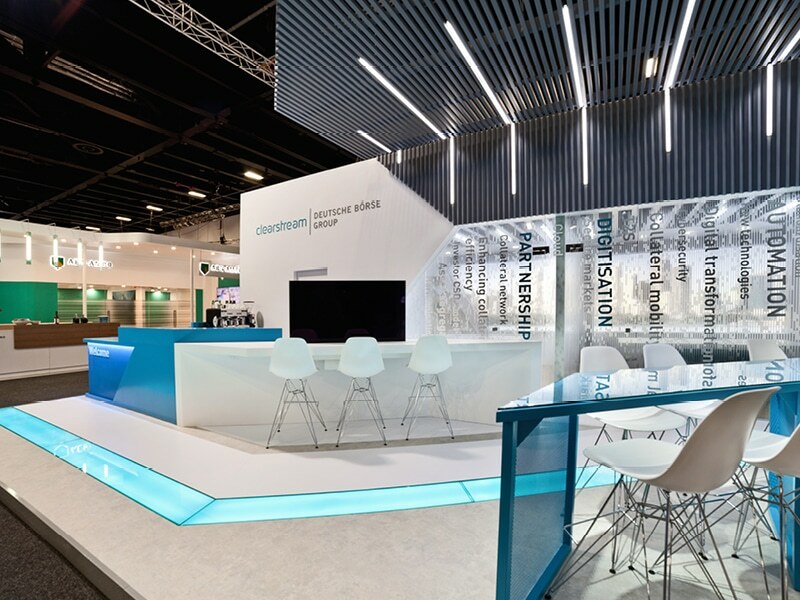 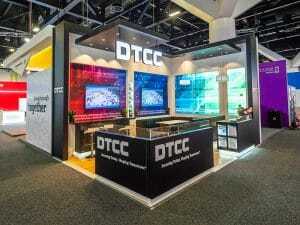 The 2018 design concept for Sibos sees the introduction of the grey and teal colour accents to reflect the recent Deutsche Börse / Clearstream merger. 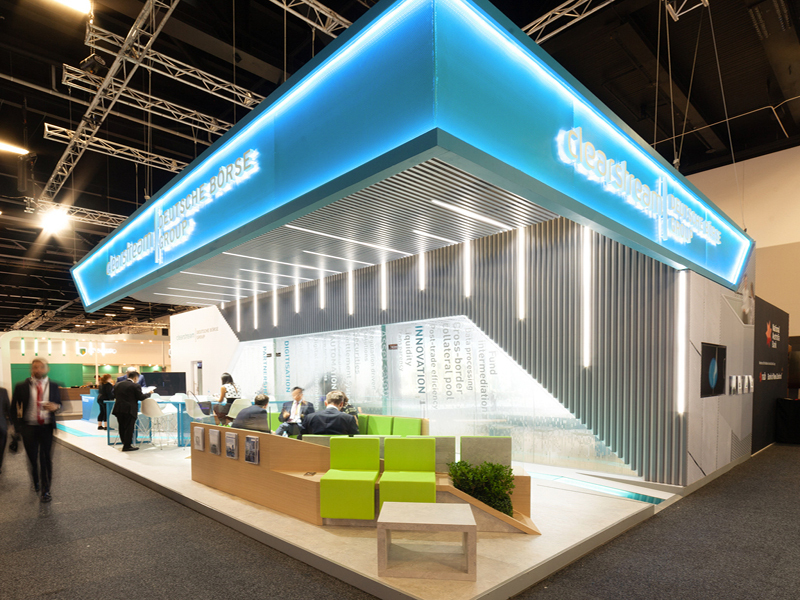 Architectural lighting frames the brands presence within the exhibition environment, providing a key focus on the striking high level branding and futuristic/technology led design. 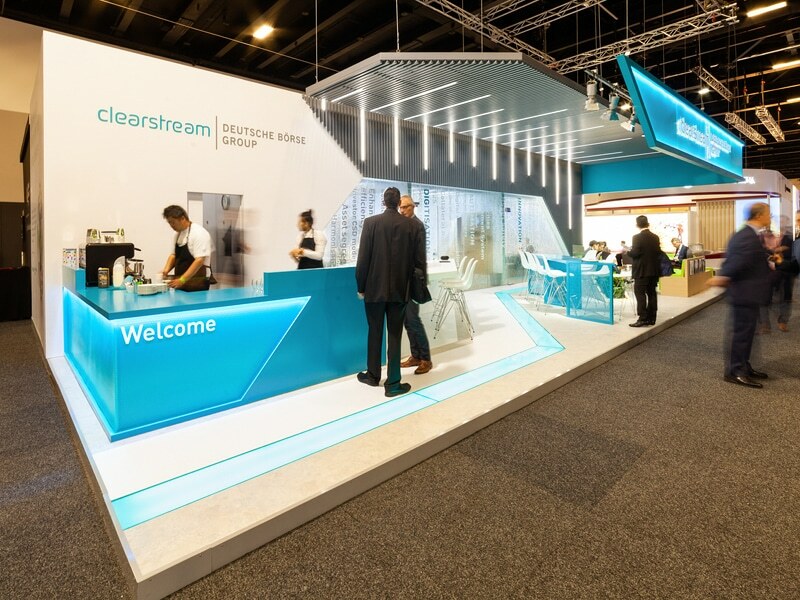 A full barista service at the heart of the booth provides a vibrant focal point for informal networking and formal hospitality service to the three formal meeting spaces. 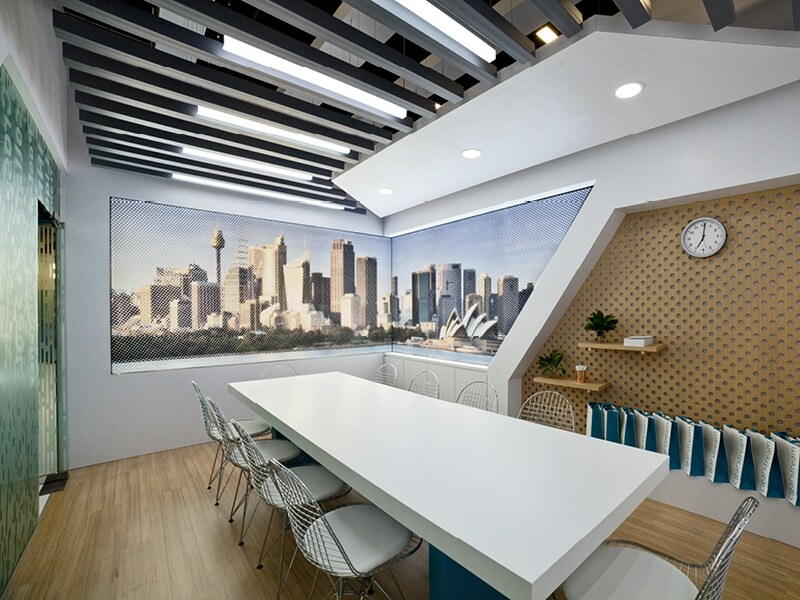 The perfect balance of privacy, space and comfort is achieved through full height glazing accompanied by a bespoke graphic treatment.